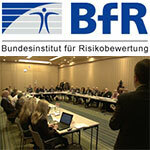 On the occasion of an expert conference organised by the Federal Institute for Risk Assessment (BfR) and held in Berlin on 11 and 12 April 2016, a consensus on the identification of endocrine disruptors was reached. According to BfR, the consensus reached is a breakthrough in the scientific discussion on endocrine disruptors and of great importance for the consumer health protection in Europe. 23 internationally renowned scientists and four observers of the EU Commission, the European Food Safety Authority (EFSA) and the European Chemicals Agency (ECHA) participated in this conference. Among other things, the final document, entitled ‘Scientific principles for the identification of endocrine disrupting chemicals – a consensus statement’ lists the criteria for identifying the hazard potential of harmful endocrine substances. In its introduction, this text reminds us that in the light of concern about potential negative human health and environmental impacts caused by endocrine disruptors (EDs), the EU adopted a Strategy on Endocrine Disruptors in 1999 and introduced specific legislative obligations, which include the aim of protecting human health and the environment from exposures to EDs.